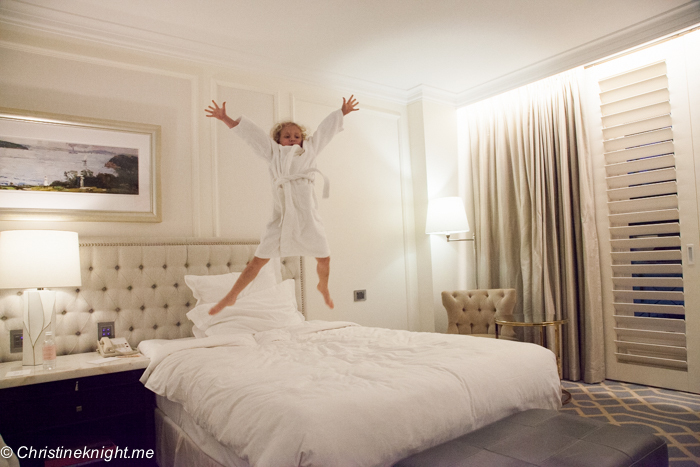 Hotel Review: The Langham Sydney - Adventure, baby! 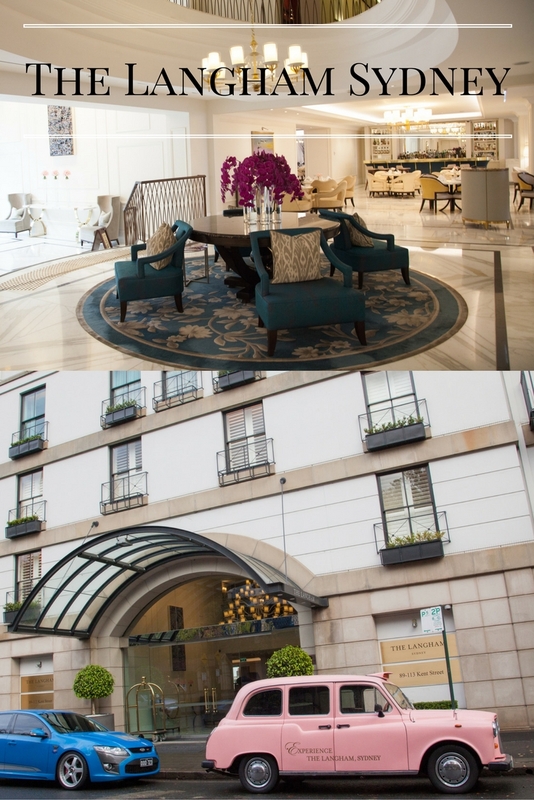 For a slice of luxury in historic Rocks district, you can’t go past the The Langham, Sydney. A few blocks removed from the hustle and bustle of the CBD streets, The Langham feels like a peaceful world unto itself, with luxurious furnishings, elegant rooms and attentive staff. 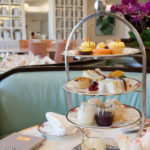 The Langham Sydney is a renowned 5-star hotel. It used to be called the Observatory Hotel before it was bought by the Langham brand. 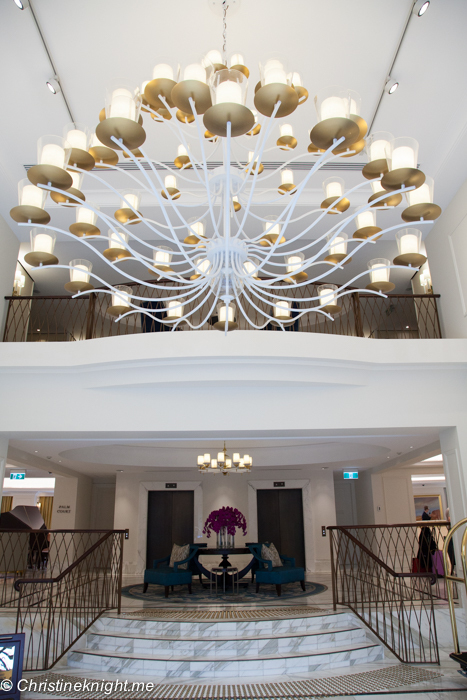 A recent refurbishment has resulted in luxury, opulence and chic elegance. 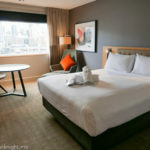 While the hotel is incredible quiet, it’s only 1.5 km from the Queen Victoria Building and 1.9 km from the Sydney Opera House, making it a fantastic location for a Sydney stay. 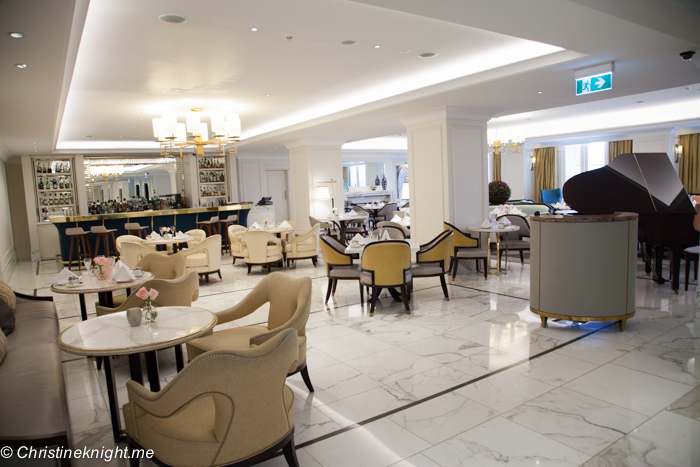 The Langham Sydney is a smaller hotel with only three floors. 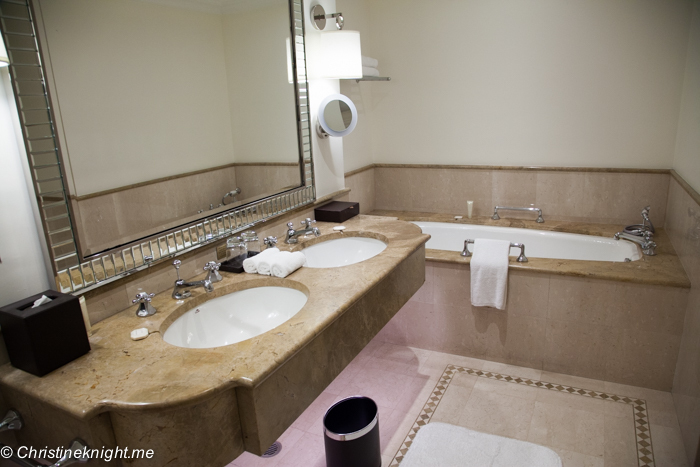 Each sophisticated room or suite is massive by regular room standards. 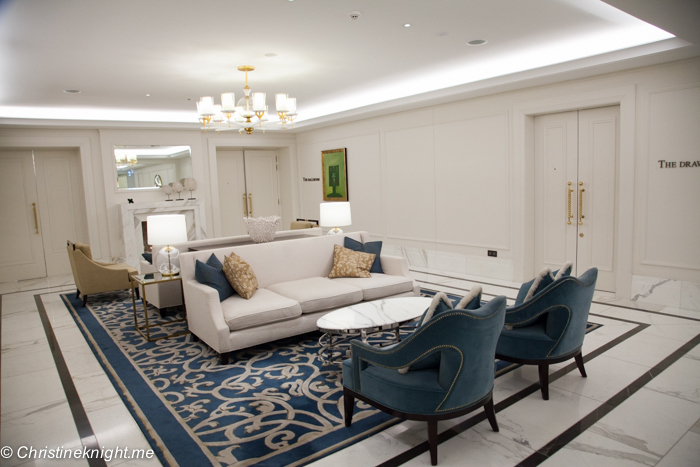 Suites add living areas, and upgraded suites add kitchenettes, dining areas or bars. Some of the rooms have private terraces or balconies. 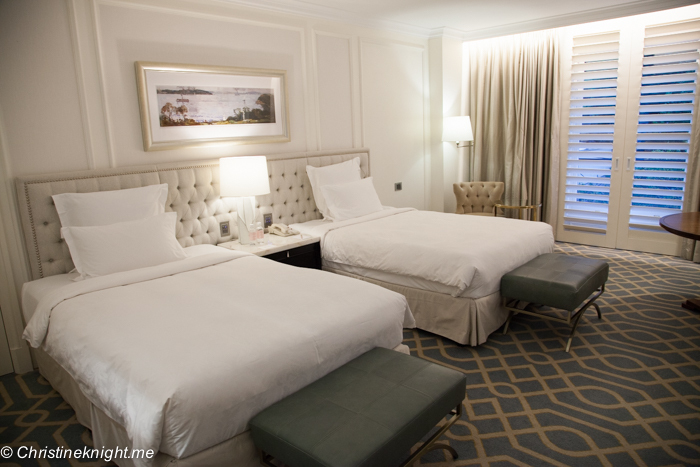 All of the deluxe rooms fit up to three people. 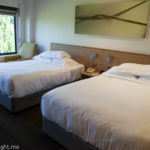 We chose the cheapest room available for our stay which was a “City View” room, with an option of two double beds or one king bed. 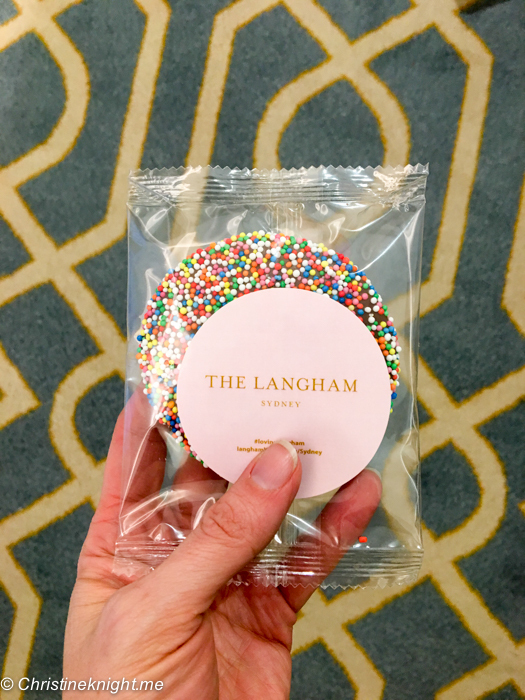 Each room at The Langham Sydney features excellent air conditioning and free Wi-Fi, a flatscreen TV, wardrobe with a safe, iron, and ironing board, refrigerated private bar, Espresso machine plus tea, and coffee making facilities. 24-hour room service is available with a decent range of options. Valet parking is available for $50 a night. If you decide to dine in, there is a restaurant downstairs, but if you step outside the hotel there are lots of options a few metres down the road, or a little further into the Rocks area. Other facilities in the hotel available to guests include a stunning indoor heated pool, a fitness centre and a tennis court. 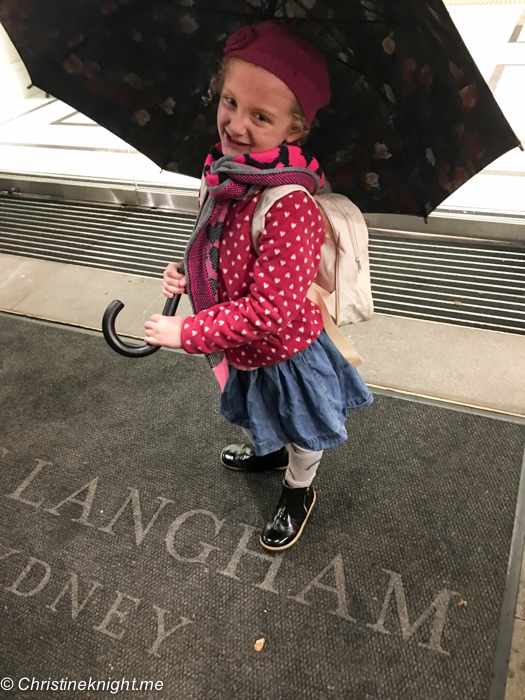 While we have stayed at The Langham previously as a couple, it was our first time staying as a family. We loved all the kid-friendly features of the hotel that we had never noticed before. 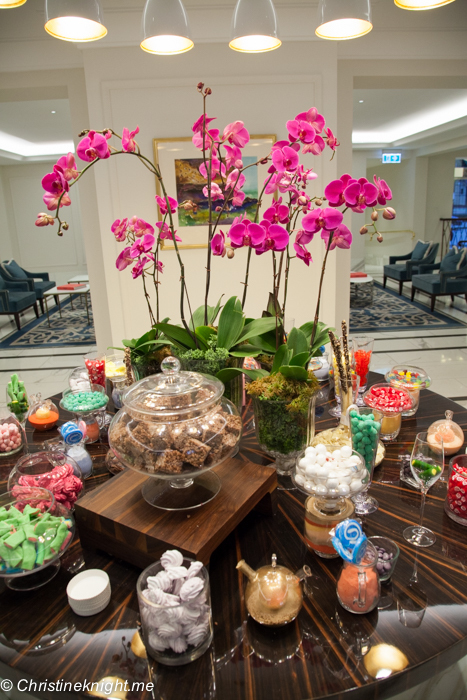 The lolly buffet at reception was popular with kids and adults alike. In our room, we found a giant freckle chocolate and a complementary orange juice. A kids welcome pack was left for Cheese, which included a kid-sized robe and slippers to use, and a back pack and badge for her to keep. 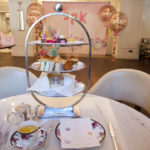 If you love high tea (like I do!) then I would suggest booking into the hotel for an afternoon tea. The Langham continues to impress. It will continue to be our go-to hotel in Sydney. Looking for more luxury hotels in Sydney? 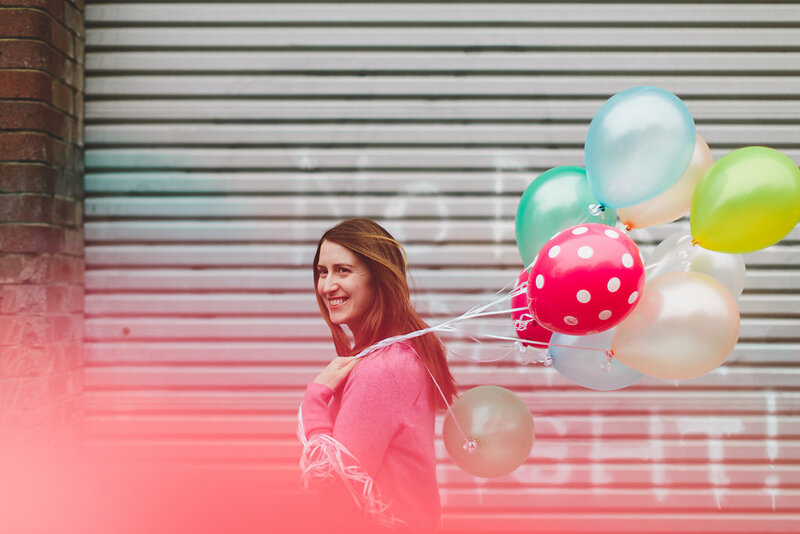 Click on over here. 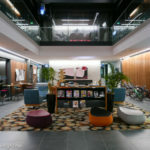 This post contains affiliate links, which means if you book the hotel through my link I will be paid a small commission, at no extra cost to you. 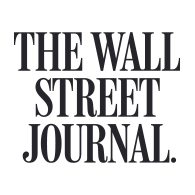 Thank you for supporting my website.